Issue 1/2019 of the European Competition and Regulatory Law Review (CoRe) offers the classic ‘CoRe mix’ of competition and regulatory topics like: the incentives, mechanisms and stability of hub and spoke cartels, the challenges for the operators of the EU regulatory framework on mobile roaming charges, and the implementation of the EU energy and competition law acquis in Montenegro under the Energy Community Treaty. View all articles of CoRe 1/2019. Become an author for CoRe and view our Call for Papers. 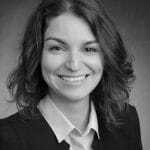 Directive 2017/104/EU on antitrust damages actions. The quarterly addresses everyone who is concerned with competition and regulatory law issues such as academics (in the field of law, political science, social sciences, economics and other relevant research fields), legal practitioners in national and international law firms, government officials working in EU public administration, judges and legal experts in domestic, European and international courts, consultancies, and business people in the EU and beyond. Each issue of CoRe will be a balanced mixture of original research articles, first-hand country or thematic policy reports, timely case annotations on important ECJ/GC rulings and other international/national court judgments, book reviews as well as other information material and updates, including opinions, case summaries or event reports. The diversity of topics in the final edition of the European Competition and Regulatory Law Review (CoRe) for 2018 is representative of the wide-ranging issues in the world of EU competition law over the past year. In CoRe 4/2018 you can find articles on: the SSNIP Test and Zero-Pricing where Daniel Mandrescu examines the complexities of defining the relevant market in (future) cases involving online platforms; András Tóth discusses how national competition authorities can more easily and rapidly adapt to a fast-changing world; and in Hospital Mergers and the Incorporation of Non-Competition Concerns, Nicole Rosenboom explores how public interest concerns such as affordability, quality of care, and access to care can be taken into account in the assessment of hospital mergers. Also in this issue: report on the new European Commission proposal for a Directive on Unfair Practices in the Food Supply Chain, national updates from Belgium, Ireland, Norway, and Sweden, and an insightful analysis of the General Court’s judgment in T-419/14 Goldman Sachs. View all articles of CoRe 4/2018. 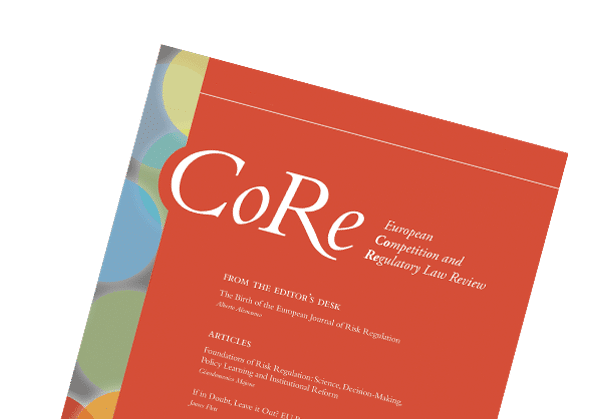 The Online World and Its Challenges to Competition and Regulatory Frameworks is the focus of the new issue 3/2018 of the European Competition and Regulatory Law Review (CoRe). This special issue, developed together with the European University Institute (EUI), offers insightful articles on topics such as: the paradox of discretionary competition law, updating the ECN for the challenges of the online world, and freedom of expression and ISP liability in the Digital Single Market. Also in CoRe 3/2018: reports from Austria, Germany and Romania, case annotation of the General Court’s T-194/13 UPS v Commission and book reviews. View all article of CoRe 3/2018. Issue 2/2018 is out now! The new issue CoRe 2/2018 is out now and in the articles section you will find a comparative analysis of the scope of antitrust law in South Korea, EU and US, a comprehensive assessment of the EU regulatory framework for access to the postal network and a critical view of the EU’s approach in assessing fixed/mobile mergers in the telecoms sector. Also in the issue: country reports from Bulgaria, Poland and Spain, an annotation on the CJEU’s C-179/16 F. Hoffmann-La Roche case, and two insightful book reviews. View all articles of CoRe 2/2018. View all articles of CoRe 1/2018. Only submissions of excellent quality will be accepted in CoRe. Responsibility of the factual accuracy of a paper rests entirely with the author. All publications must clearly distinguish themselves from the status quo of discussions – in particular through sufficiently broad publication footnoting and referencing – and provide an added value to those discussions. Contributions should not have been published, nor be pending publication elsewhere. After the manuscript is submitted, it will undergo a process of peer review for accuracy, quality and relevance. Submission of a manuscript does not imply claim for publication. Optionally before submitting a manuscript, the editors may be contacted regarding the suitability of a given topic for CoRe. Tables and figures should be submitted on extra pages. Every table should have a title. The relevant sources of the data presented or of the tables or figures themselves should be indicated. Within the text, the position at which a table is to be included should be marked by ‘[TABLE …]’, the tables and figures being clearly numbered. Every table should be referred to. Acknowledement – The author acknowledges that any breach of the abovementioned warranties may cause us damage or loss and the author agrees to indemnify us in full and permanently against any third party liabilities, claims, costs, loss or damage we incur as a result of publishing material the author submits to us, including consequential losses.